Stage curtains represent a significant investment. We work with you to ensure that the measuring process, choice of style and selection of materials are accurate and appropriate for your particular circumstance. More about Stage Curtain fabrication. In addition to curtain fabrication, Limelight® can specify and/or supply the hardware and rigging supplies necessary for your installation. Our staff of professional riggers/installers are available to complete curtain installation throughout New England and beyond. 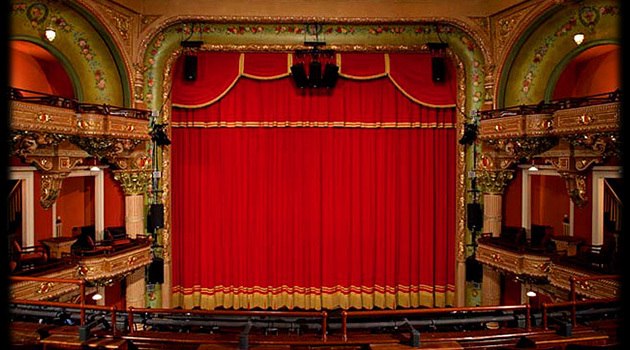 Our portfolio page features selected theatrical curtain projects. Curtain Worksheet (pdf) - Use this form to guide your RFQ.